Come grow with us in Winnipeg, Manitoba. It’s official: Winnipeg’s proposal to be home to Amazon’s second headquarters has been submitted, and we’re proud to showcase why our city is the best choice for the world’s largest online retailer's #HQ2. Over the last few weeks, we’ve been spreading the word about the Winnipeg advantage through a series of blog posts and videos promoting Winnipeg’s unique value proposition: our central location and transportation hub, high quality of life, talented workforce, supportive business community and much more. If you missed any of the great stories we're telling, we’ve compiled them all into this post. Check them out below. 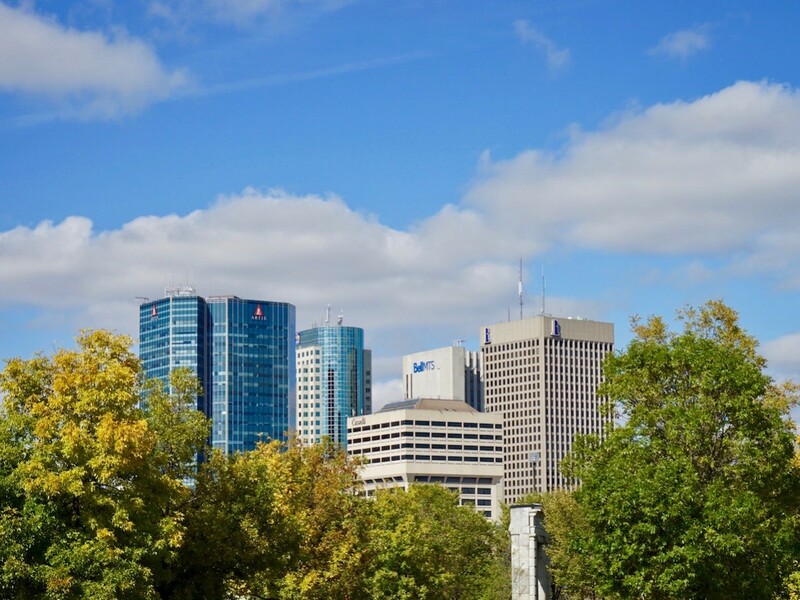 Winnipeg, Manitoba has been called the "Gateway to the West," the "Heart of the Continent" and simply " One Great City," but we're known these days as a growing and thriving trimodal hub in the geographic centre of North America. That doesn't have quite the same ring as those other slogans, but it perfectly describes our city as the transportation powerhouse of the prairies. Read the post. Let’s pretend for a moment the company you work for - a multi-national, multi-billion dollar corporation with over 300,000 employees - is looking for a place to set up a second headquarters. You’re probably going to want to know what life is like in the cities you could be transferring to. You’re the kind of person who thrives with a good work/life balance, you hate long commutes, and you want a cost of living that affords you some of the finer things in life, like an Amazon Echo for example. Well, you’ve come to the right place – Winnipeg, Manitoba, Canada. We’ve compiled a comparison of house and condo prices and commute times with other Canadian cities. Read the post. So you’ve sorted out the job, the house, and the transportation. All that’s left to consider is… how will you spend the 72 hours a week you’re not asleep or at work? If you’re bringing a family with you, here’s your comprehensive list of everything kid-friendly to do in our city. Read the post. No family in Winnipeg? No problem. Check out this list of everything to do for all you no-kids Amazon employees out there. Read the post. In Winnipeg, we’re a talented and hard-working bunch. Our workers – both born and raised Winnipeggers and those who have come from elsewhere, have a proven track record of their commitment to this city, its businesses, and its well-being. Our reputation for our family-like business community and top-notch talent pool draws people from around the world. Read the post. Finding somewhere for up to 50,000 employees to set up shop is no small feat. Amazon needs space to grow. They’re looking for 500,000 square feet to start with and up to 8,000,000 square feet once their buildout is complete. Luckily, we’ve got plenty of options within Winnipeg city limits that fit the bill. Our partners at the City of Winnipeg have compiled a list of locations suitable for Amazon and we’ve narrowed it down to two unique and perfectly suited locations. We think Amazon will love the choices we’ve given them. Read the post. In addition to spreading the words, we've also put together this video featuring local entrepreneur and former Winnipeg Blue Bombers player Obby Khan. Obby was kind enough to tour Alexa, Amazon’s smart assistant, around our city. She even got to meet the mayor. Manitoba premier Brian Pallister also has a message for Amazon and other companies looking for a place to set up their business: our province is growing and we want you to be a part of it. For the full Winnipeg story, you can read Team Manitoba’s entire proposal to Amazon by clicking on the image below.